The primary purpose of a mat board is to help in the protection/conservation of your artwork. The mat board aids to provide safe distance between the art and the glass, so that the work cannot come into direct contact with the glass. It’s important the art doesn’t touch the glass as condensation and moisture builds up on the surface of the glass and can damage paper that the glass is in contact with. The mat board therefore, sacrifices itself for the sake of the art taking on the condensation instead. You could compare the mat board with a baby’s nappy – once it is full, it cannot continue to absorb moisture and will eventually leak and it needs to be replaced. 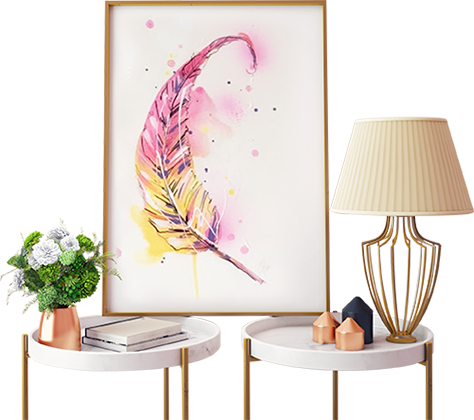 We recommend art framed with one mat to be re-matted every 5-7 years, 2 mats every 7-10 years and 3 mats every 12 years. Re-matting your art isn’t a costly process as the glass and frame do not need to be replaced.